Startups and growth-stage companies (scaleups) are increasingly partnering with corporates and seeing great benefits. When built effectively, corporate partnerships can bring sizeable rewards for scaleups as they benefit from distribution and investment. Partnership is advantageous for both sides, however, as corporates can also innovate by partnering with, investing in or acquiring earlier-stage companies. 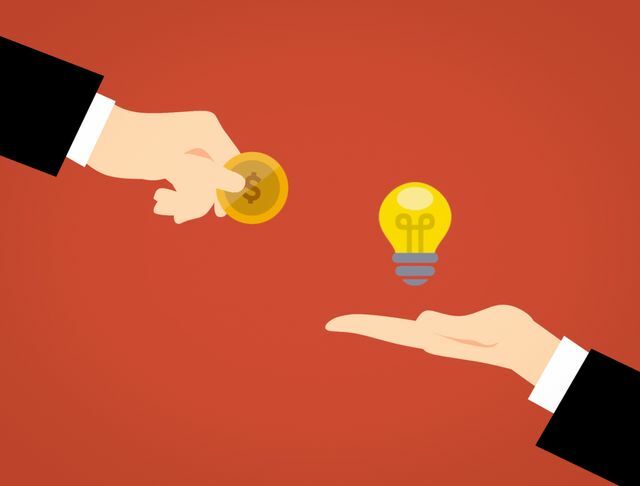 Corporate Venture Capital (CVC) is now one of the best funding options available to scaleups. According to CBInsight’s Corporate Venture Capital report, there were over 1,000 active corporate venture funds and 546 corporate VC-made investments in 2017, with the most active being GV (Google Ventures), Intel Capital, Salesforce, Qualcomm and GE. Corporate VC groups participated in $31bn of funding in 1,791 deals in 2017. Europe is a particularly strong territory for this type of scaleup funding: Dealroom states that corporates invested €6.2 billion into European companies in 2017, around 32% of total European VC funding. The most active corporate investors in Europe include Naspers, Microsoft, JD.com, Sapphire and banks such as Barclays, BBVA, BNP and Santander. Corporate-led mergers and acquisitions also account for the majority (80%) of exits for technology companies in Europe, with few exits coming from IPO. According to the Tech EU exits report, there were 610 tech exits in 2017 worth €61bn in total. There is a high degree of concentration here as the top 10% of deals accounted for 41% of the total exit value. However, the majority of acquisitions are below €100m with average deal size of €93m. The most active corporate acquirers of European tech companies are ProSieben, Spotify, Apple, Schibsted and Vivendi who each made more than 10 acquisitions in 2017. So, what is the best approach to partnering with large corporations? If you’re looking to get your solution adopted, these tips could help. Prioritise – Don’t chase every opportunity; decide which corporates you want to work with and why. While corporate relationships can yield benefits, there’s a risk of being swallowed up with the work it takes to service a big business. Ask questions to confirm whether they truly are the right partner for you and explore any deal breakers early. Target the right person – Although targeting budget holders can be seen as a shortcut, cultivating a relationship with an internal champion first who is a key influencer of the budget holder is preferable. They can then decide whether there is a case for the corporate to adopt your solution and how best to approach the budget holder. Approach in the right way – Since corporates are larger and need more time to make decisions, start initial conversations around a trial for your solution as a quick way of getting deployment. By all means, mention how your solution could be rolled out more widely, but a trial to get internal champions engaged will be a more realistic starting point as it is lower risk for the corporate. Be clear on objectives – Good communication is key in any partnership, so understand the objectives, or boundaries, of both parties from the outset. Confirming expectations will help avoid issues later and enhance your outcomes. It is vital to clarify who will own any IP emerging from any joint development work. Be realistic about timings – For scaleups where change can be implemented quickly, adjusting to a much slower “corporate speed” can prove challenging. Understanding the cycles, timelines and decision-making processes of your corporate partner will ensure realistic timeframes and outcomes. Foster trust – Don’t make unrealistic promises on timings or capabilities. If you can consistently demonstrate your ability to deliver and work within the framework of the internal policies the business has in place, this will hugely impact progress with the corporate. Corporates want to adopt new solutions, but they are not capable of rapidly changing their internal processes, so present your solutions in a phased way. Consider your image – While informal attire and communication is commonplace in scaleups, many large corporations may view it as unprofessional. It falls to you to adapt to any differences, so consider how you want to come across and tailor your presentation and communication style accordingly. Alex McCracken is a Managing Director at Silicon Valley Bank in the UK and provides lending and banking services to technology companies. Alex also works with Multinational Corporates who wish to partner with SVB clients. Prior to SVB, Alex was Investment Manager at TTP Ventures, where he invested in a number of technology companies. "Don’t chase every opportunity; decide which corporates you want to work with and why. Ask questions to confirm whether they truly are the right partner for you and explore any deal breakers early."